One of the greatest botanical gardens in North America is largely unknown outside of Mexico. 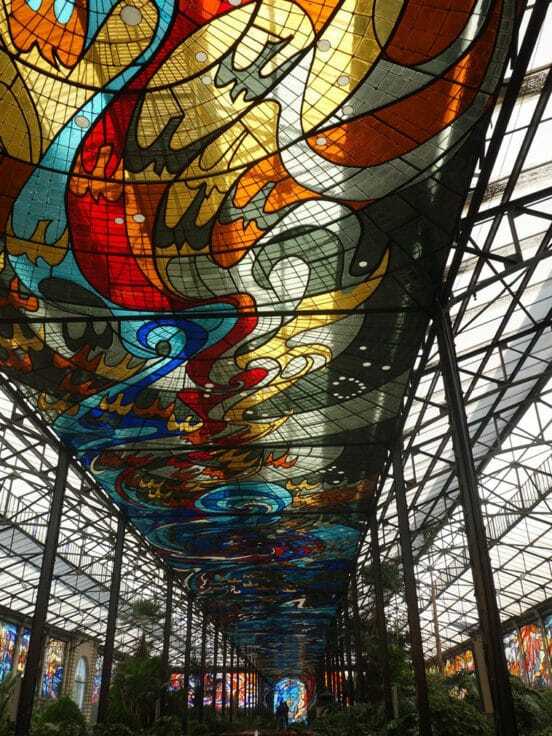 The Cosmovitral Botanical Garden is enclosed by stunning stained glass, enhancing the flora and fauna and lending a church-like atmosphere to scenes of nature. Although the building receives thousands of visitors each year, more than 95 percent of them are from Mexico. 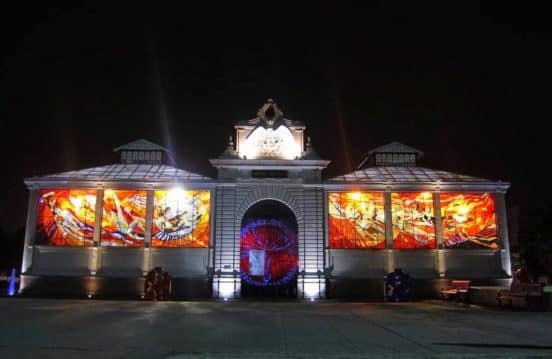 The Cosmovitral deserves a much bigger audience. 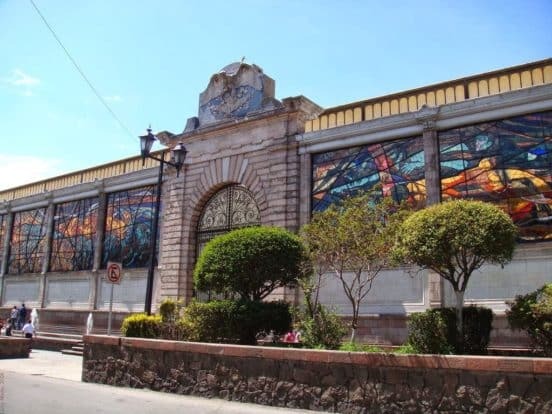 The garden is at the centre of a former marketplace located in Toluca, Mexico. The building was the city’s first permanent market. But as the city grew, the marketplace became antiquated and cramped. When it finally closed in 1975, the building was surrounded by flea markets and the roads nearby were so crowded with shoppers and vehicles that the traffic became impassable. The people knew the building was spectacular, with its art deco style and glass roof. Some people suggested that the building should make way for a plaza, while others thought it should be sold. It didn’t take long for the citizens to create something special on the old site, however, thanks to local artist Leopoldo Flores. 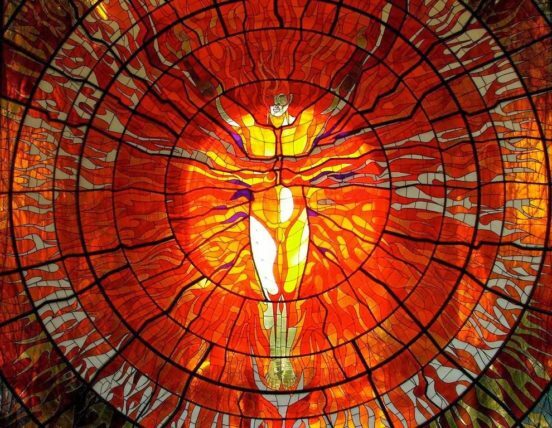 His vision for the space was to encircle the whole building, including the roof, with stained glass. He also suggested making the floor a massive garden, showcasing the relationship between the ecological world and the cosmos. That’s how the building got its name, from the Spanish words for cosmos and glass. 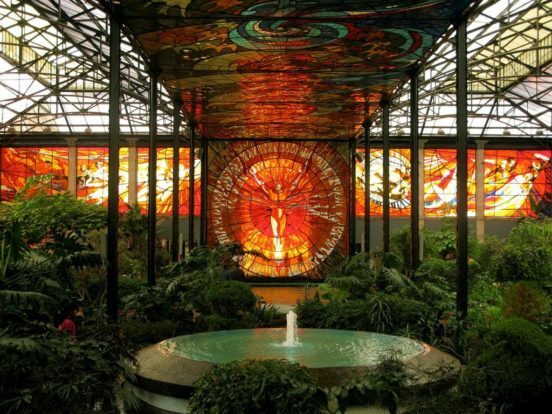 The building was rehabbed as a botanical garden, but designers decided to retrofit the windows with enormous stained glass paintings. It reopened as an art and plant shrine in 1980. The Cosmovitral now houses more than 500 native species of plant. There are also bridges, fountains and statues placed throughout the building. The sun shines through the windows, turning the entire greenhouse into colors of red, blue and orange. This lends the garden its otherworld quality. To engineer such a dramatic project, the building had to be cleaned completely, from top to bottom. The walls were reinforced so they could stand the weight of heavy glass windows. The new artwork added 45 tons of blown glass and 25 tons of lead, which meant the building had to get 75 tons of metal support to hold it all in place. It is estimated that the building used 500,000 pieces of glass. The final design was not finished until 1990. The garden is now so popular that it is associated with the city and region, which is also well known for its earthquakes. Fortunately, the earthquakes were considered when the building was designed, and the building is continually inspected and strengthened. Despite the prevalence of earthquakes, there has never been any damage to the Cosmovitral. The plants include rare Mexican orchids, every variety of lily and rose, cypress, ferns, as well as trees like the araucaria (Chile), amaranth (Brazil) and tulip trees (China). The cultural gem deserves a much wider audience.